DETROIT, March 15, 2017 – Michigan business leaders continue to be optimistic about future growth prospects of the state and national economies, according to the latest quarterly survey of Business Leaders for Michigan (BLM) members. 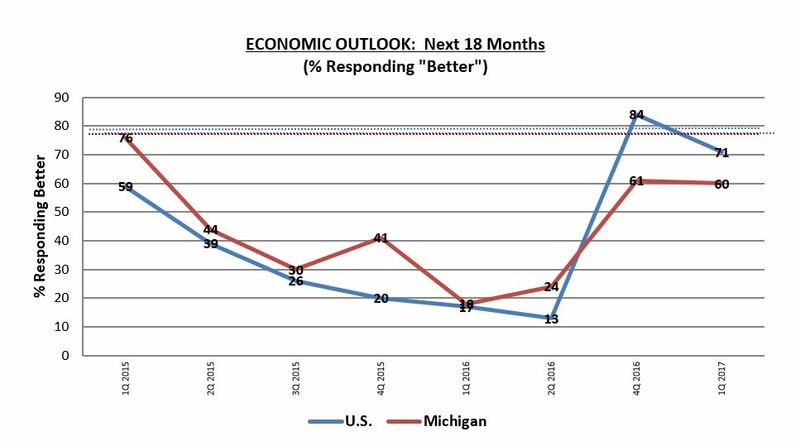 Next six months: Most business leaders believe the Michigan and U. S. economies will be better over the next six months (63 percent and 73 percent, respectively). This continues to be significantly higher than surveys conducted the past couple of years. Next 18 months: With continued optimism, 71 percent of business leaders believe the U.S. economy will improve over the next 18 months. Also, almost two-thirds (60 percent) of the respondents believe the Michigan economy will be better during the next 18 months. 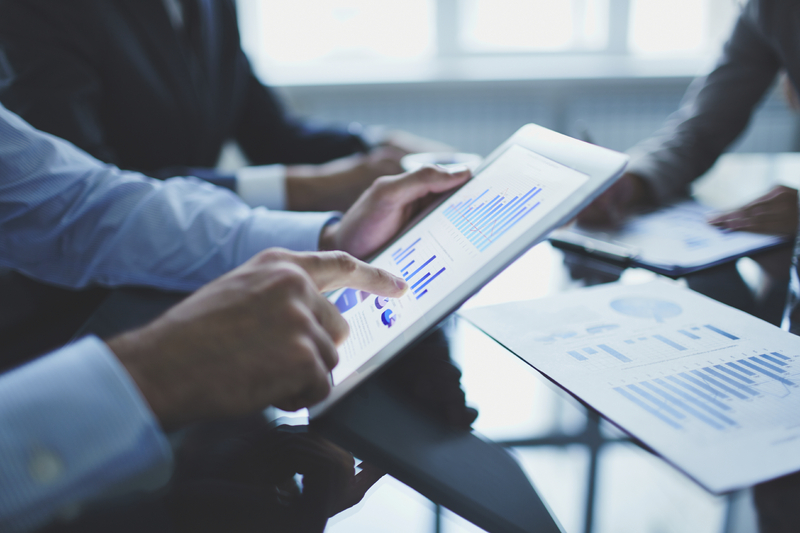 The survey also found more than half (56 percent) of business leaders project their companies will add jobs and about 38 percent plan to make capital investments in Michigan over the next six months.